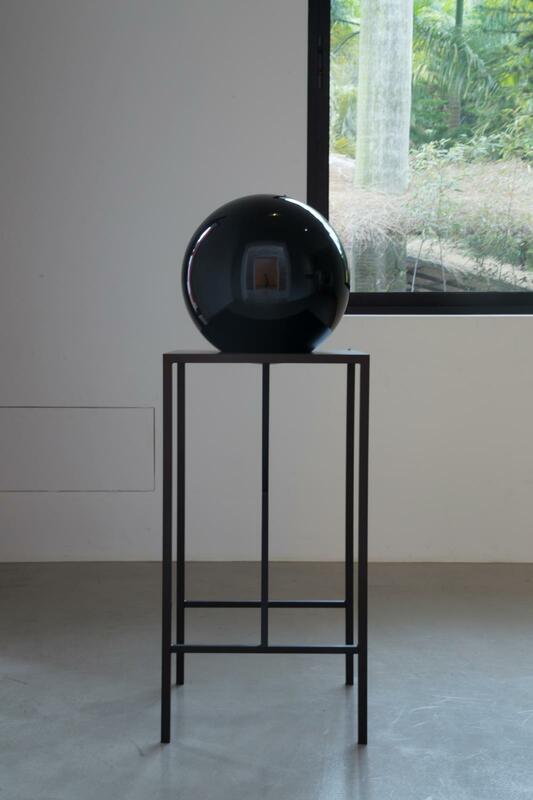 In Closed ego, a large sphere of polished obsidian is displayed on a stand. 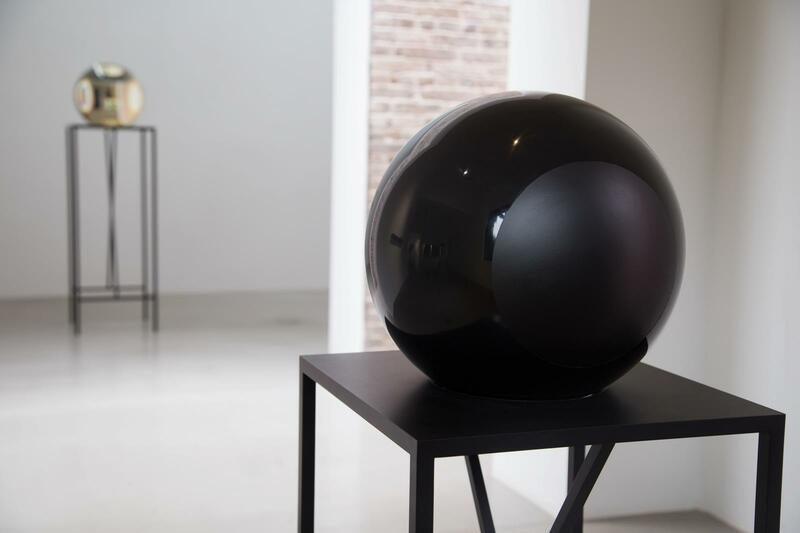 Despite the material’s opacity, viewers can nevertheless look ‘into’ the sphere, discovering their own reflection and that of their surroundings stretched, distorted, and cast in a deep dark tint. Obsidian calls to mind the Claude glass, or black mirror, a tool used by Romantic landscape painters in the late eighteenth and early nineteenth centuries to compose melancholic and abstract views of their environments.